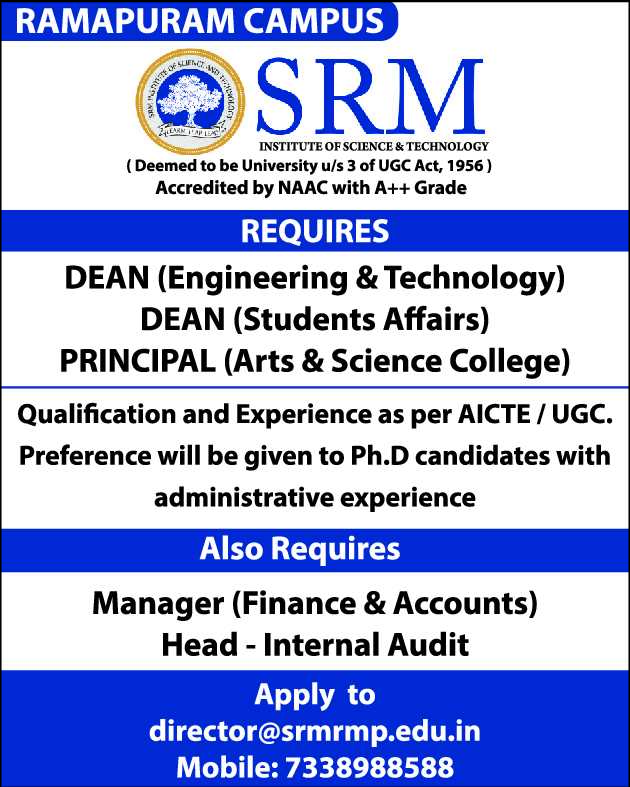 SRM Institute of Science and Technology, Chennai has advertised in THE HINDU for recruitment of Dean / Principal / Head / Manager jobs vacancies. Interested and eligible job aspirants are requested to apply immediately from 10th April 2019. Check out further more details below. Qualification: As per AICTE / UGC. 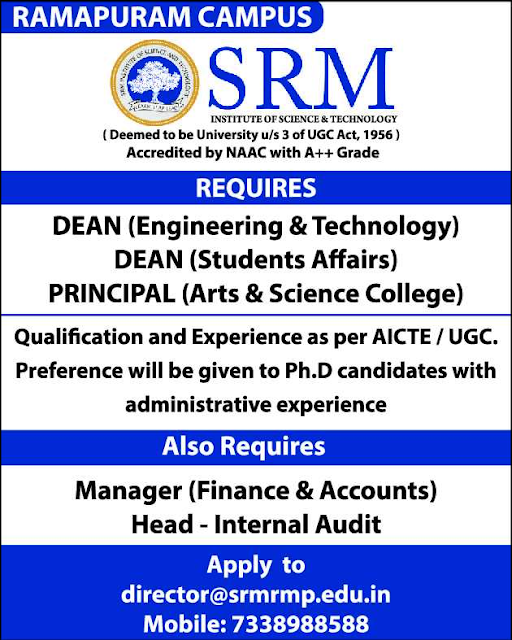 Ph.D Qualification with administrative experience will be preferred. How to Apply: Interested candidates are requested to send resume along with copies of certificates and recent PP size photo to the postal address or email address provided below. Mention the post applied for in the subject line of email.